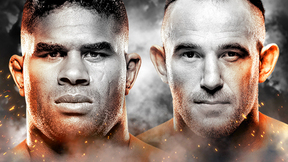 At UFC 56: Full Force, The Ultimate Fighter season 2 coaches & UFC champions Matt Hughes and Rich “Ace” Franklin entered the Octagon to take on a pair of heavy-handed adversaries in Joe “Diesel” Riggs and Nate “The Rock” Quarry. 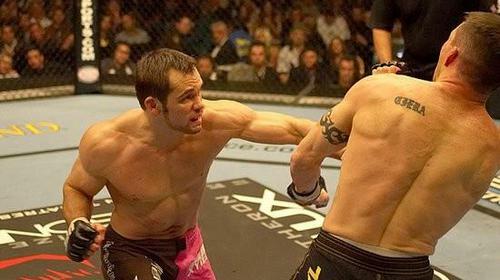 Rich Franklin vs Nate Quarry UFC 56 Sat, Nov 19, 2005 (16:39) The UFC middleweight champ Rich Franklin put his belt on the line for the first time against a top contender, Nate Quarry. 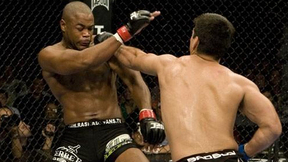 Quarry came into the fight with only one loss in his career and if he left with only one loss, he would also leave with the belt. 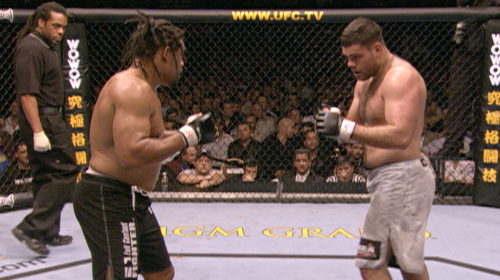 Gabriel Gonzaga vs Kevin Jordan UFC 56 Sat, Nov 19, 2005 (26:14) It was UFC fans’ first taste of the Brazilian stoppage machine Gabriel “Napao” Gonzaga as the BJJ blackbelt made his Octagon debut with a 4-1 record against the 8-3 Kevin “The Shaman” Jordan. 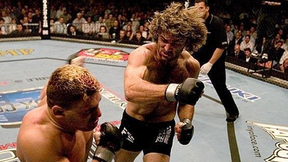 Matt Hughes vs Joe Riggs UFC 56 Sat, Nov 19, 2005 (17:34) Originally scheduled to be for the belt, heavy-handed Joe Riggs missed weight, but “Diesel” still had the opportunity to step into the Octagon and test himself against the 2x UFC welterweight champion Matt Hughes. 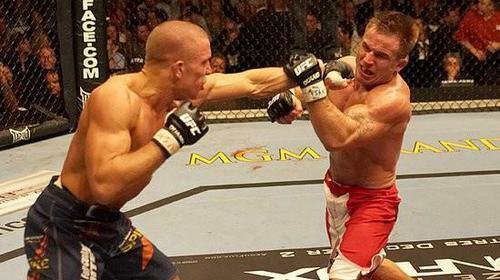 Georges St-Pierre vs Sean Sherk UFC 56 Fri, Oct 7, 2005 (16:40) Rising star Georges St-Pierre continued his amazing run at 170 pounds, scoring a decisive second round stoppage of former title challenger Sean Sherk in a highly anticipated contest. 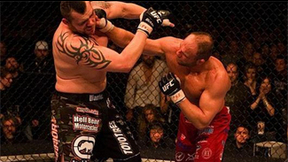 Jeremy Horn vs Trevor Prangley UFC 56 Sat, Nov 19, 2005 (27:38) Dropping to 185 pounds following his losing effort for the 205 pounds’ title, veteran submission artist Jeremy “Gumby” Horn faced South African wrestler Trevor Prangley who bested BJJ blackbelt Travis Lutter in his last Octagon outing. 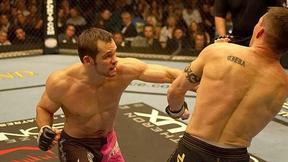 Sam Hoger vs Jeff Newton UFC 56 Sat, Nov 19, 2005 (17:26) After splitting a pair of decisions, TUF alum and Pat Miletich protege Sam “The Alaskan Assassin” Hoger, looking for some career consistency, squared off with the debuting stand-up stylist Jeff “The Karate Kid” Newton who was on a 4 fight win streak. Thiago Alves vs Ansar Chalangov UFC 56 Sat, Nov 19, 2005 (11:18) Following his UFC debut loss a month earlier, 22 year old Muay Thai specialist Thiago Alves took to the cage to make a good second UFC impression against the undefeated Ansar Chalangov, who had just defeated Dennis Hallman in a smaller promotion. 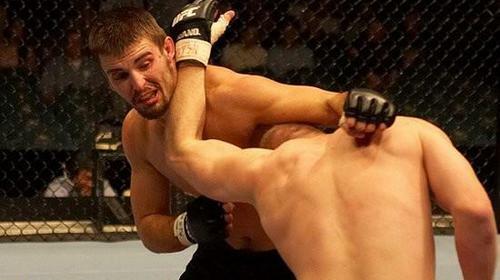 Nick Thompson vs Keith Winsniewski UFC 56 Sat, Nov 19, 2005 (27:12) Amidst a 5 fight win streak including TUF alum Josh Neer, Minnesota Martial Arts Academy product Nick “The Goat” Thompson made his first trip into the Octagon against another UFC newcomer in the 22–7–1 Keith “The Polish Connection” Wisniewski.